Ruby Lieberman is one of fewer than 230 attorneys certified as a Specialist in Immigration and Nationality Law by the California State Bar, Board of Legal Specialization. She is a former Judicial Law Clerk at the San Francisco Immigration Court. Since opening her own law practice in 1994, she has devoted herself exclusively to immigration and nationality law. 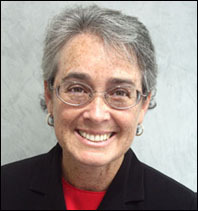 Ms. Lieberman earned her law degree from the University of California, Hastings College of the Law, in San Francisco, where she was awarded an American Jurisprudence Award in Administrative Law. She obtained her undergraduate degree from the University of California, Berkeley. Ms. Lieberman is a member of both the American Immigration Lawyers Association and the National Immigration Project of the National Lawyers’ Guild. She is a mentoring attorney at the Political Asylum Project of the San Francisco Lawyers Committee for Civil Rights. She has been recognized several times by the San Francisco Bar Association for Outstanding Public Service, and has been named a Northern California Super Lawyer every year since 2008. She is admitted to the bars of the Supreme Court of the State of California, the U.S. Court of Appeals for the Ninth Circuit, and the U.S. District Courts for the Northern and Eastern Districts of California. 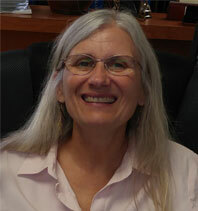 Kathy Brown has more than 30 years of experience in immigration law. She joined the law firm in March 2017. She obtained her Masters in International Affairs from George Washington University, and her Bachelors in Political Science from the University of California at Santa Barbara. She also has her Law Degree from UC Hastings, and retired from the practice of law in 2007 to care for her family. She returns to the field of immigration law as a paralegal to continue assisting immigrants with all needs, including legalizing their status in the United States, navigating the complex forms and processes involved in immigrating, applying for the protection of asylum, and helping with the reunification of family members. She is fluent in English and Spanish. When not working in San Francisco, she resides in Berkeley and is active in habitat restoration, as well as in zero waste management. She has traveled in Europe (living in Madrid, Spain for one year), Canada, Mexico and parts of South America, and is a 3rd generation immigrant herself.